What is a Non Owner Car Insurance? Driving comes with huge responsibilities. The dangers of driving are endless, and it’s essential to have a safety net if something goes wrong. Of course, getting car insurance is a crucial step in the process of buying a car, however, you also need coverage even when you’re only borrowing, leasing, or renting a vehicle. Non-owner car insurance policies protect drivers when they have accidents that harm or injure people or their cars. This type of insurance typically offers liability coverage to handle any damages or injuries brought to another driver while operating the rented or borrowed vehicle. Having car insurance is important no matter your ownership status. Having the proper coverage can save you from financial and legal burdens. Who Should Acquire Non Owner Car Insurance? Any person who does not own a car but still drives occasionally should buy non-owner car insurance. People who need an SR22 and do not own a car can also benefit from this type of insurance. An SR22 is a certificate that confirms a driver’s upkeep of liability coverage. People who are penalized for driving without coverage often need an SR22. Non owner car insurance can provide drivers with this certificate and prevent them from facing further fees and penalties. People who experience gaps of time in car ownership should also consider non-owner car insurance. Keeping coverage can make driver eligible for discounts and help avoid price increases. A person who rents vehicles very often should also consider non owner car insurance. A good policy is most likely more affordable than the one offered by the rental company. A non-owner car insurance policy will already cover rental cars. You will not have to spend extra money at the rental office for coverage. A person who often borrows the vehicle of friends or acquaintances (up to ten times a month or more) should also acquire non owner insurance. The policy will cover any damages caused in an accident and can be used when the car owner’s insurance cannot pay for all the expenses. If the owner’s insurance doesn’t cover the full costs, you will be left to pay the rest. Non-owner insurance will protect you and your family or friends from taking on extra expenses for an accident that you caused. Remember that in this case, non-owner car insurance will come secondary to the owner’s insurance. Also, it will not cover any damages to the vehicle you were driving. A non-owner policy will only cover the policy holder. Though most policies only offer liability, there are some that provide medical coverage and protection for uninsured drivers. Personal injury coverage may be available to purchase. It is a great option for those who don’t have health insurance. This type of coverage is very affordable as well. Non owner car insurance should also be used when a driver uses a car sharing service. Car sharing is when a driver rents a vehicle for brief periods of time and only pays the costs of the time and the distance used. It is a cheaper alternative to regular car rental services. Car sharing is also more environmentally friendly than owning or renting a car. Even car sharing drivers need coverage. A great policy can help a driver avoid legal and financial problems after causing a damaging accident. If you already own a car you do not need to purchase non-owner car insurance. If you drive a car owned by a household relative (such as a spouse, parent, or child) you can become covered under their insurance policy as a driver. To sum things up, you need some form of a safety net even if you don’t own a vehicle. Non owner car insurance will cover any damages or injuries you may cause while driving a rented or borrowed vehicle. You should always have proof of insurance available. A simple internet search will lead you to companies that offer non-owner car insurance. You can even get a quote instantly on certain insurance websites. Information on the web can help drivers to compare rates of different companies and discover the best options. These quotes are free and easy to obtain. An insurance representative or agent can also be contacted to purchase car insurance. Experts can offer detailed explanations and assist drivers in choosing the right insurance policy. These agents are often available 24 hours. Non-owner car insurance is not advertised nearly as often as traditional insurance. That is why many people are unaware of it. However, most insurance companies provide non-owner car insurance liability coverage. A representative can answer any questions and describe the best options for your needs. Is Non Owner Car Insurance Cheap? Non-owner car insurance is typically much cheaper than regular car insurance coverage. The price is lower because the driver does not have regular access to a vehicle. 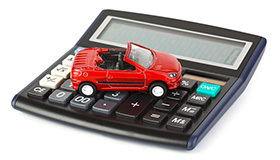 The cost of non-owner car insurance is determined by driver’s age, state, driving history, and frequency of car use. Many well-known insurance companies offer some form of non-owner car insurance. Rates can be as little as just a few hundreds of dollars a year, which is very affordable. Buying insurance is well worth it. The price will depend on your driving record. If you have avoided excessive accidents and DUI’s the price will be more affordable to you. Prices also vary between insurance companies. That is why you should browse and compare before purchasing a policy. With non-owner car insurance, there is no deductible. The price can also depend on the amount of coverage you want to buy. Quotes are available on demand. There are even tools that allow you to see the prices across the board from top insurance providers in your area. It is a fast process that will expose you to just how affordable non-owner car insurance can be. Driving is a luxury that many people enjoy. Imagine that you are cruising down the city on a warm and sunny day. You have always wanted to drive a pristine Lexus coupe with shiny rims and a sleek interior, but at the moment, you don’t own a vehicle. In reality, you are driving a rented or borrowed car and pretending that you are behind the wheel of your very own car. But in the midst of your fantasizing, you run into the back of another vehicle by mistake. You examine the scenario and learn that the other driver suffered injury as well as damage to their vehicle. While this is unfortunate, you remember that you have non-owner car insurance and the policy will pay for the other driver’s injury as well as car damage. This is a relief! You will not have to scramble for cash or sell any of your assets to pay for the trouble you have caused. The non-owner insurance policy that you purchased contains liability coverage. The borrowed car you are driving suffered minor damage that will not be covered with the policy. However, you can pay for this on your own. Overall, the situation is handled. Non-owner car insurance coverage has saved you. As mentioned earlier, non-owner car insurance is significantly cheaper than regular insurance for car owners. There is a benefit here if you are hoping to purchase your own vehicle. With these inexpensive insurance rates, you can save more money towards buying your very own car. Soon, your car sharing days will be over and you will be driving around in your very own vehicle. By the time you are ready to purchase, you will also have a better understanding of how car insurance policies work. Peace of mind is a very obvious benefit of purchasing non-owner insurance as well. Accidents can occur at any moment and regardless of if you own the vehicle you are driving or not. When you have a policy in place, you can put your mind as ease as you drive a borrowed or leased vehicle each day. You will know that everything will be handled if something goes wrong. Another benefit is the driver risk status you will obtain as an insured driver. Building a history of insurance is great for your future as a car owner. Drivers with a lack of insurance history are considered high risk. Buying and maintaining non-owner car insurance will demonstrate your responsibility as a non-owning driver. Lapses in coverage are not recommended. Keeping coverage will set you on the path to insurance discounts in the future. This will greatly help as you make the search for car insurance when you someday own a car. Of course, non-owner car insurance is beneficial and even necessary in many ways for drivers who don’t own vehicles. But there are also situations in which non-owner car insurance is not needed. First of all, if you already own a vehicle, you do not need non-owner insurance. If you own a personal vehicle, seek regular auto insurance by getting quotes online. If you are driving a vehicle for business purposes you should not seek non-owner car insurance. There are commercial policies designed for this type of operation. If you do not have a driver’s license or cannot obtain one, you will not be able to purchase non-owner car insurance. Also, if you are listed on someone’s insurance policy as a primary driver, you will not be eligible to purchase non-owner car insurance for that vehicle. If you frequently drive the vehicle of people in your household, it is best to try and get listed on their policy instead. Many insurance companies don’t offer non-owner insurance to drivers with regular access to a vehicle. 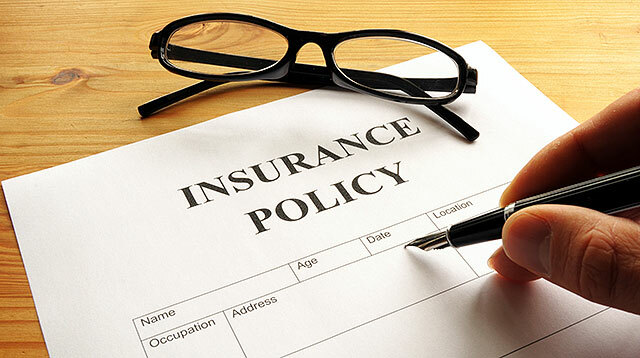 Once you are added to their policy, you can agree to pay a portion of their insurance expenses. It is a great way for you to learn financial responsibility and make things more affordable for the car owner. You’ll be covered and the car owner will appreciate you for it. It may be tempting to drive around without insurance when you rent or borrow a car. Let’s face it, things can become comfortable. You don’t have to pay monthly fees. You can use the vehicle when you need it and not have to do much else. But there can be an accident at any moment. Having a good insurance policy in place is a much better option than driving around without any coverage. When hard times come, you will be relieved to know that your insurance will help you. There is a whole world of non owner car insurance available for you. Rates can be even lower than 30 dollars a month! You can’t beat that. It’s far cheaper than traditional insurance for car owners. For just a small fee, you will have guaranteed liability if your actions behind the wheel cause damage or injury to others. The first place to seek non owner car insurance is the internet. A quick search will lead you to tons of options. You will find endless car insurance companies that offer various rates and coverage options. You may be wondering which one to choose? Simply compare quotes and view the options. Have your driver’s license ready and know your driving history. The cleaner your driving record, the better the price will be. Policies and rates vary from state to state. Thorough research can help you to find the best insurance for your needs. When you are ready to purchase coverage, you should have a down payment to give the insurance company. A knowledgeable agent will be there to assist you through this process. Then you are good to go! You will be able to drive with peace of mind, a safety net, and a policy that doesn’t break the bank. Accidents can happen unexpectedly. 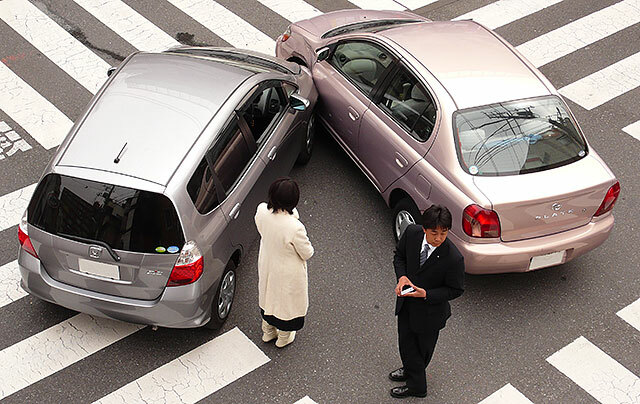 Getting into an accident without having car insurance can bring on a slew of legal and financial troubles. You can avoid this by purchasing non owner car insurance today. It is cheap and will look good on your record.